The Folk Project is continuing the fun, education and the showcase of talents in this year’s 5th New Jersey Uke Fest to be held at the Ukrainian American Cultural Center of New Jersey in Whippany, NJ on Friday, August 25, and Saturday, August 26, with an outdoor Jam on the Green in Morristown on Sunday, August 27. The concert lineup for this year is a roster of amazing ukulele artists. Kimo Hussey, Danielle Ate the Sandwich, Rachel Manke, The Curt Sheller Jazz Trio, and The Lords of Liechtenstein will be rocking the 2017 NJ Uke Fest stage with their individual artistries and a right amount of aloha spirit. Kimo Hussey is one of the best Hawaiian ukulelists and one of the most respected jazz ukulele players in the world. As an artist, he is recognized for his distinctive ukulele solos he masterfully fuses with melody, rhythm and dynamic overtones. 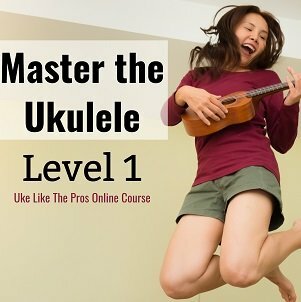 As a ukulele teacher, his love for the uke emanates from his enthusiasm to impart knowledge relevant to technique and style and his encouragement to his students that they have fun playing the uke. Danielle Ate the Sandwich swears not to throw cupcakes at you as she did “the socially adept kids” in her The Terrible Dinner Guest music video. But she swears on giving her audience a good show during the 2017 NJ Uke Fest. The 31-year old ukulelist-singer-songwriter has over 47,000 YouTube followers. The music video for her song The Terrible Dinner Guest has more than 90,000 views and still counting. Her strong vocals in The Terrible Dinner Guest and the ebb and flow of the song’s lyrics reminds me of Sara Bareilles’ She Used to be Mine. “Dinner Guest” has a jollier sound brought by the ukulele track albeit the meaning of the song is quite sad. Rachel Manke is one of the most talented emerging ukulele artists today. Having been appearing on various stages that range from the Ashokan Uke Fest and Funky Frets Uke Fest, to Garrison Keillor’s A Prairie Home Companion, she’s been called one of the brightest stars in the ukulele realm. Her album Other Duties as Assigned is available online and as what she sings in one of her songs, she can’t give you anything but love. And of course a worthwhile show during the 2017 NJ Ukulele Fest. How do you think a classic song will sound when played on a ukulele? That is the very question The Curt Sheller Jazz Trio answers in their reworks of timeless classics on How About More Uke? replacing the standard guitar backing of these songs with the higher-pitched sound of a ukulele. The trio consists of Curt Sheller himself, who plays the ukulele; Ed Rick, who plays the drums; and Eric Schreiber, who plays the electric bass. Get ready for eargasmic jazz improvisations, this trio will take you to places! The Lords of Liechtenstein are often compared to The Everly Brothers for their exquisite harmonic taste and to The Smothers Brothers for their impish acts on stage. Well, that was before. From a two-brother duo act consisting Dan and Noah Rauchwerk, they have transitioned into a full five-piece band adding guitarist Ned Steves, bassist Matt Fernicola, and drummer Arjun Dube. They have opened for various talented musicians such as Brett Dennen, Elephant Revival, and Buckwheat Zydeco, and have been featured on NPR’s syndicated Mountain Stage program. Their newest record Downhill Ride to Joyland, which The Lords describe as a “raucous fifteen-song romp through the ups and downs of human existence” is available for purchase online. For the second day of the festival, over a dozen of ukulele workshops will be conducted by the performing artists together with the following additional instructors; Christine DeLeon, Mark Dutton, and Makalina. There will be classes for all: from beginners to experienced uke players. To improve the workshop experience of this year’s participants, The Folk Project has improved their system of giving out handouts. All the materials for the workshops are ready for download and you can get them printed for a fee of $10. As in the previous NJ Uke Fests, there will be vendors selling different ukuleles, tuners, song books, accessories, artworks, and food. During the festival, a lunch open mic contest will be held. Attendees will be able to put their names in the hat upon registrations. By the end of the first workshop, a list containing 12 randomly chosen names will be posted by the registration desk. The twelve chosen attendees will each play one song during the lunch break, competing for a chance to perform a song at Saturday night’s concert. 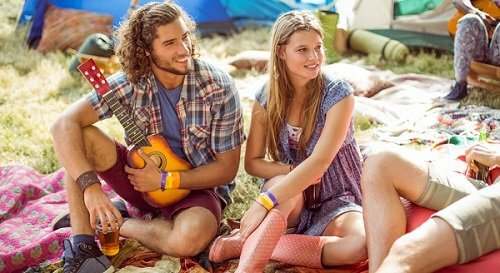 Attendees of the NJ Uke Fest 2017 will also have plenty of chances for spontaneous jam sessions because let’s face it, it’s a festival full of ukulele players! 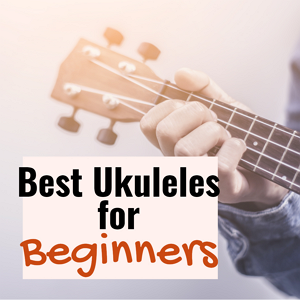 It’s amazing how the love for an instrument as small as a ukulele can instigate a gathering of people for good music, celebration, and sheer fun. From ukulele virtuosos to people who just love to hear the mood-elevating sound of a uke to people who simply happen to be curious spectators, this festival will leave people with smiles on their faces once it’s done. Maybe it’s in its magnitude, maybe it’s in its distinctive sound or maybe it’s just magic; we can’t tell for sure, but the ukulele has something special in it that draws people in. If you want to feel that inexplicable magic, the 2017 New Jersey Ukulele Festival is one event you need be a part of.